All of my clients share their most personal thoughts, feelings and experiences with me. It’s the nature of my job as a family law attorney. I work in a field that is highly emotional, judgmental and frankly, sometimes physically and mentally draining. I have seen my clients in the pits of despair, and I have also seen them draw from an inner strength they never knew existed. This is why I love what I do. I have the privilege of seeing people truly transform, sometimes not by choice, but in ways they never thought possible. For these reasons, when a client asks me about my personal life, I pretty much tell it like an open book. How can a client feel comfortable hiring me to lead them on this personal journey if I am not honest with them about my own? Like some other attorneys, I don’t hide the picture frames of my family because I don’t want to remind them of what they are “losing”. I display them proudly and openly so they can ask me about my personal journey and see for themselves that life can throw you some curveballs. It’s the way you handle it that defines you. My curveballs were more like changeups (for you baseball fanatics). In 2013, I had twins, who are now two years old. They are my IVF babies. My husband and I were told we could not have children “naturally”. It was a complicated pregnancy, but I continued to work because my job has always centered me. When the twins were 8 months old, I had the biggest surprise of my life. I was pregnant, “naturally”, with a second set of twins. Several months after the 2nd set were born, I received another curveball. My 18 month old son, Lucas, was diagnosed with autism. Initially, I was very upset and frankly, in a bit of denial. How would this impact my other children? My law firm? My co-workers? My marriage? I soon realized that Lucas’ autism diagnosis was not only a gift to him, myself and my family. It was a gift to my clients as well. 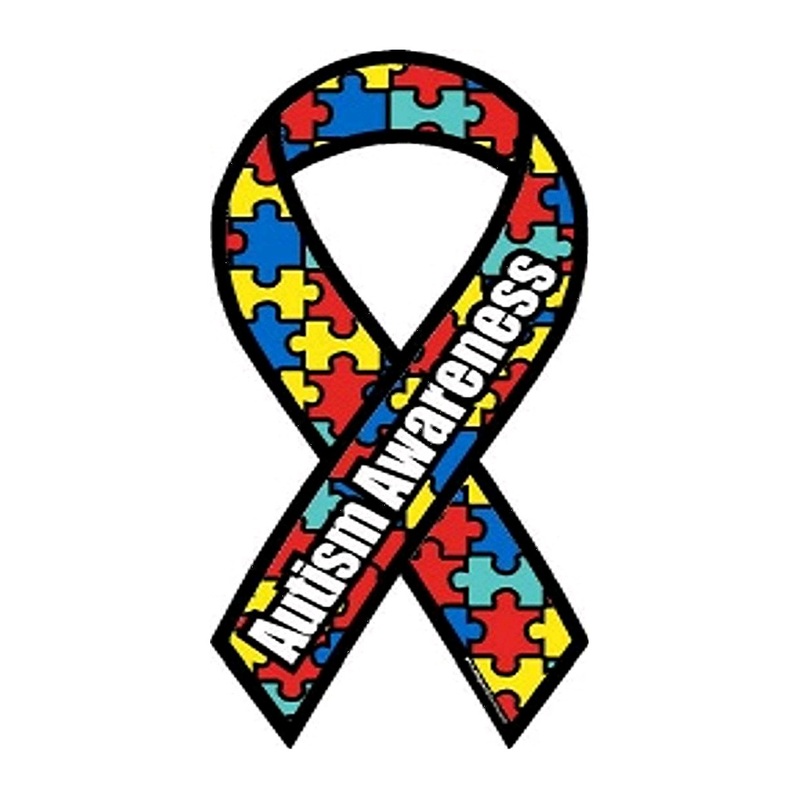 Seeing the world through the eyes of an autistic child and experiencing the emotional highs and lows associated with autism has made me a better family law attorney. 1. It’s a reminder that the focus of every divorce or separation should always be on the child/children involved. It’s common for a separation or divorce to initially focus on the distrust and animosity between the parties involved. Even so, I have never had a client who didn’t acknowledge that his/her love for a child isn’t outweighed by those feelings. As an attorney and fellow parent, it is my responsibility to work closely with my clients to focus on the child’s needs while appreciating the emotions involved. 2. Every child has different needs. Every family is different. Each of my children is different. Lucas has to attend 20 hours of Applied Behavior Analysis (ABA) therapy every week. He is not comfortable in large social environments. His twin, on the other hand, thrives on social interaction. Lucas attends a school specifically devoted to children with autism where he works one-on-one for 4 hours each day, 5 days a week with a therapist trained in ABA therapy. His twin, on the other hand, benefits from a typical daycare setting. No divorce/separation agreement is the same. Each agreement must focus on the individual needs of each child and that particular family. It can’t simply be painted with a broad brush. For this reason, the agreements I draft are comprehensive. I have never drafted a two-page divorce/custody agreement and frankly, doing so would be a disservice to the children involved. For example, the provisions regarding health insurance for the children must be carefully considered. Due to Lucas’ ASD (autism spectrum disorder) diagnosis, most of his services are covered by my husband’s health insurance. However, that doesn’t mean there aren’t out-of-pocket expenses associated with his services. Especially when there is a child with special needs, the health insurance coverage, deductibles, co-pays and covered services of each parent’s policy must carefully be considered. 3. It’s okay to have the instinctual response of the protective “momma bear” or “poppa bear”. I’ll never forget when a former nanny told me that Lucas wasn’t “normal”. I practically saw red. Don’t tell me my child isn’t normal. Don’t tell me I am not meeting his needs. Once the “red” faded, I realized she was only trying to convince me to get him evaluated to see if he was autistic. When parents separate, it’s only normal that each parent will think they know what’s best for their child. I understand the protective nature of being a parent – and I respect it. However, in your separation, you must channel it in a way that focuses on your child – not your assumed inability of the other parent to be as protective and loving as you. It doesn’t come easy. It’s actually very, very hard. It comes with an open mind, compromise and sometimes joint therapy sessions where you will have to let your guard down. Every child requires structure and some sense of discipline to thrive. It is possible to maintain this in two households. With that in mind, custody agreements must provide boundaries, but allow for open communication, cooperation and involvement. My husband and I have disagreed as to what’s best for Lucas, and we aren’t even divorced or separated. I can only imagine how difficult this must be for my clients. I draft custody agreements to ensure my clients have the power to make decisions relating to his/her child and in the least, have the right to voice their concerns, have access to all medical and school records, and can participate in decision-making to ensure that the child’s needs are being met. The unfortunate reality is that not every parent can set aside their own needs to focus on what’s best for the children. In those cases, I must simply work with my client to ensure there is protective language in the custody agreement to maintain the focus on the child. 5. I must respect my clients’ decisions as to what is best for their child. I know my son better than you do, just like you know your child better than I ever could. When it comes to negotiating custody agreements, I will not tell you what your child needs. You will tell me what your child needs, and as a fellow parent and your attorney, I must respect that. You may have to explain it to me so I can understand your reasoning and advocate your position, but at the end of the day, I must respect the decision you are making as a parent. 6. You must embrace your reality in order to move forward. When I found out I was having another set of twins, I was scared. How was I going to give each of my children individual attention? This worry intensified when Lucas was diagnosed with autism. At the end of the day, each of my children is healthy and happy. I now see Lucas’ diagnosis as a gift I should promote, not repress or ignore. This is my reality. Although it was scary at first, I was able to overcome those fears and live a much more fulfilling life. Many people ask me – “with all of your family responsibilities, do you work?” Yes, I work full-time. I co-own a law firm. “Why and how do you do it?” I do it because I love my job and I love children. No doubt, it is definitely frustrating and stressful at times. Even so, I have embraced my reality. There is nothing more rewarding than watching my clients transform and embrace their realities. Once they do, they become better parents. They become self-confident and empowered. Most of the time, they find love again (and I gently remind them about the importance of a prenup). I feel so privileged when a client chooses me to represent their and their child’s interests. My own life and the curveballs thrown in my direction have given me a greater respect and appreciation for my clients. As renowned professor and autistic woman Temple Grandin says, “I am different, not less.” Every family is different, not less. It is how my clients and I draft and sculpt their agreements that lead to the fulfilling future them and more importantly, their children, deserve.